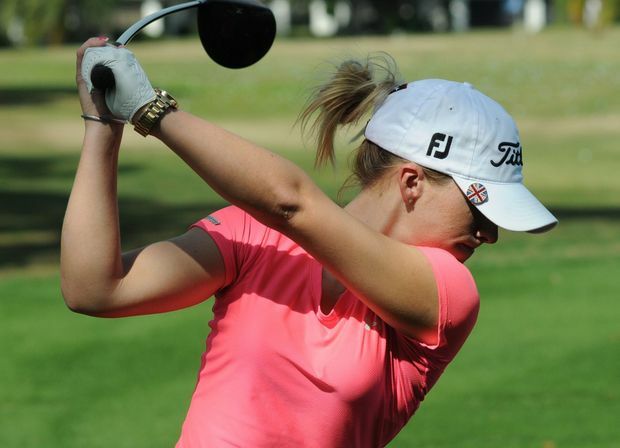 Manatee County resident Jodi Ewart made a huge jump in the latest women's world golf rankings. Ewart vaulted 151 places to No. 351 in the Rolex Rankings on the strength of her top-20 finish at the RR Donnelley LPGA Founders Cup last week. Ewart tied for 18th with IMG Academies alum Paula Creamer, and earned a check for $17,658. It was her first career top 20 finish on the LPGA Tour, coming in just her fourth event. She missed two cuts in her only tournaments last season, and finished tied for 66th in the Women's Australian Open in early February. World No. 1 Yani Tseng captured her 14th career LPGA Tour victory with an 18-under par total. Ewart and Creamer finished 11 shots behind Tseng. Ewart carded four under-par rounds, with her third-round 69 being her lowest of the 72-hole event.